My All-Encompassing Disney Side | What's the Point? Welcome to the first stop aboard Magical Blogorail Red. Enjoy the ride as we share our Disney side. Since the dawn of the #DisneySide contest, I have thought about my Disney Side. Believe it or not it's a topic I've struggled with. After really thinking about it, I realized that the reason I can't pinpoint my Disney Side is because it is ingrained in me, in every fiber of my being, in everything I do. 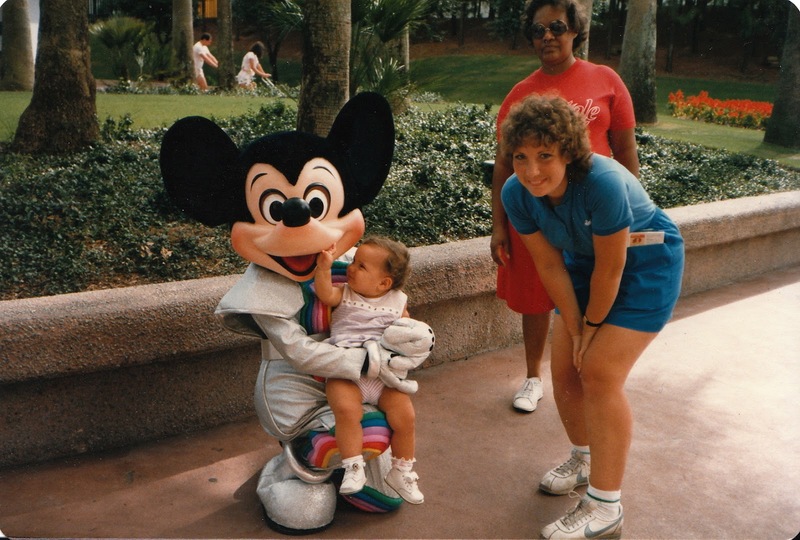 My first trip to Walt Disney World was when I was one year old. My parents packed me in a car with my grandparents and they brought me to the Place Where Magic Lives. I was never frightened of the characters, I embraced them. My parents say I loved every minute of it, rarely cried and was about as good as a baby can be in the hot Orlando sun. It would be almost a decade before I'd return to Walt Disney World. During that time I fell in love with Disney movies and cartoons. I slept with an Eeyore plaque that I took off the wall and put in my crib each and every night. Then in 1994 my family started to visit the Walt Disney World Resort yearly. We regularly (and luckily) stayed at the Grand Floridian Resort & Spa. On our first trip we purchased our stone which will be 20 (TWENTY!) years old this year. We went to Disneyland, we sailed on the Disney Cruise Line. To say I drank the Disney Kool Aid would be an understatement. When I was in high school, while everyone else went on Spring Break to Cancun, my best friend and I planned a post-graduate trip to WDW. One day I picked up a teen magazine and read an article about a girl who got fired from the Disney College Program because she called out to go to the beach. I was both outraged that she would squander such an amazing opportunity and excited to hear that such a program existed. 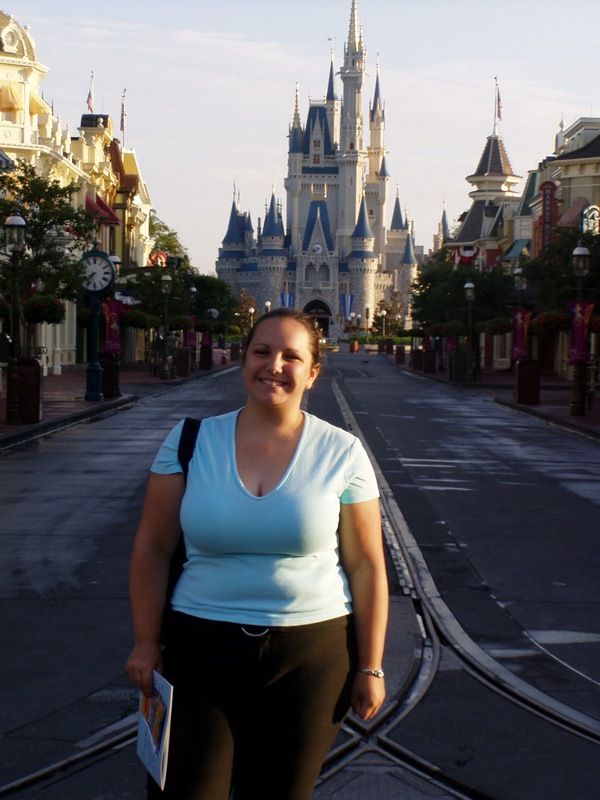 I did my research, and in my junior year of college at St. John's University, I packed my bags and headed to sunny Orlando for a semester at Walt Disney World. I had the pleasure of living, learning and earning at the greatest place on earth. I worked at Space Mountain and became even more interested and obsessed in Disney history and thinking. 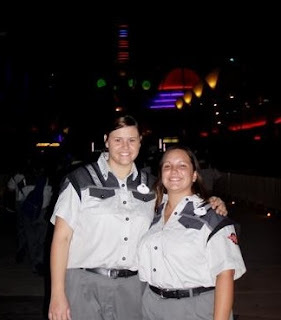 It was during my Walt Disney World College Program I learned about the Disney Point." We were not to point with one finger because it is rude. We are either supposed to point with two fingers, or gesture with our full hand. Walt Disney always did it - many rumors say that it was because he always had a cigarette in his hand and Disney PR photoshopped it out. Either way, it's something I still do to this day. I went back home to finish my degree. In graduate school I had the Disney "itch" again. I applied to the Disney Professional Internship Program and was accepted to work in the Disney Public Relations office. Again, this only increased my interest in Disney Parks and I loved every minute of it. Disney has become a part of who I am. My husband and I danced to a Disney song as our first dance as husband and wife. We are Disney Vacation Club members. It is truly my happy place. It has given me a second family (including Cast Member friends and fellow Magical Blogorailers) and memories that will last a lifetime. My Disney Side is All-Encompassing! Thank you for joining me today. Your next stop on the Magical Blogorail Loop is Magical Mouse Schoolhouse. I love this post for so many reasons. I think the #1 reason would get that I finally "get" the name of your blog. I guess I never really put much thought into it until you pointed it out (pun intended). I'm seriously envious that your family has a stone! That is so cool! Thanks so much for sharing your #DisneySide with us. It's great to get to know you a little bit better! I never knew the meaning behind you blog name. That is really cool. Donna - pay attention your next trip. You'll be amazed! There are so many little things that make Disney special and that's why I love the company so much! Thanks for stopping by! I had no idea the Disney point actually originated with Walt! How interesting! What a wonderful story, Rosanne! Disney truly is in your blood! Thanks for stopping by Kimberly! Yes, isn't that interesting? I'm looking forward to sharing next week a few tidbits about the Disney point in Saving Mr. Banks. Manda - thank you for reading! I miss my MB Black ladies! I wonder if they are as strict about the Disney Point in Paris? I think it's time for a fact-finding trip! Thanks Melissa! The Disney College Program was the best time of my life. Ah, to be 19 again! Thanks for stopping by. Can't wait to read about your #DisneySide! Hi Ashley! Thanks - I'm glad you found my post interesting. I'm a Disney nerd at heart. Thanks Mary! Everyone thinks it's an arbitrary thing until they find out the meaning! I love our stone so much. I dread the day they eventually go away. It's exactly by the exit of the resort monorail line - the best location ever, especially now that folks need to go through security. We get to visit our stone every single trip! I love it. Can't believe it's 20 years old! You & me both! I can't wait to write up my #disneyside post for Magical Blogorail Orange! Thanks for sharing, and have a great day! You make such a great point Rosanne - when Disney becomes part of how you see the world, it's hard to narrow it down to just one "Side!" That's awesome!! So much Disney fun - love the pics over the years! Great back story! 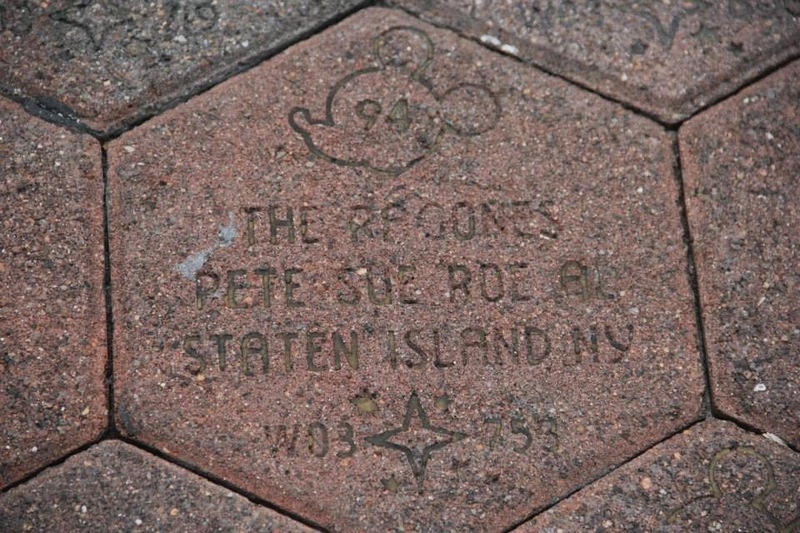 Love how Disney has been a part of your entire life and it's so cool that your family as a stone! I love your #DisneySide it is so awesome. I wish I had done the Disney College Program, I am so glad you had the opportunity to take part in a wonderful program. I had no idea the Disney Professional Internships was available. Thank you for sharing your #DisneySide with us. I love reading about the history of your #DisneySide! Great read! Thanks Beth! I think the coolest part of this loop is realizing that everyone came to their love of Disney from very different places! Thanks Dawn! The Professional Internship program is great. As much as I LOVED working at Space Mountain, it was even more thrilling to actually work in the field that I would eventually pursue. Thank you for stopping by and reading! Thanks! 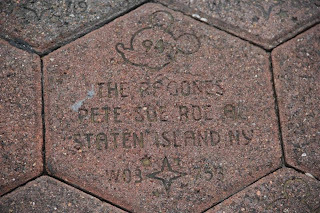 I love our stone - it keeps a part of our hearts in Disney all the time. Thanks Jennifer! :) Thanks for stopping by. Exactly! I'm round, I have no sides! Thanks for stopping by! I can't wait to read it Ashley! It's so nice to have you here! Thanks Mike! I can't wait to read the other posts as well. We all know each other so well, but we never really talk about how this love began! I love your Disney Side story! Disney has been a big part of your life and I can tell how special Disney is to you! Very inspiring! OMG!! The DOPEY!! I can't believe it! I hope it went well, since I"m commenting after the races are over!! I love that your #DisneySide is part of your life story! Thanks for sharing!